It's Been a While - Life is so full of tae! Nice! i like the detail, did u do tracing or manual pen tool? I also want to learn how to do vector. I'm using photoshop cs3. congrats on your first vector art. can you point me on the right tutorial so i can also learn this lovely piece of art? My son is into this vector thing. Ganda ng ginawa mo girl. You are so talented, can I have one of my vector too? Hahahaha....I really appreciate talent like this. My father is into art , he draws and he paint...but as of now he already retire from it. That's a great graphic! How long does it take for you to complete a transformation (from maybe jpeg to vector format)? Do you sell your creations? I remember my friend did a vector on my photo's before. I would like to like vector too if I have time. Your works are cool! Keep it up. Me!!!.. haha... but seriously, how did you that vector thingy? Is there a software or an app to do it? Is it difficult? Art is not in my system anyway, so I guess I will find this hard to do. 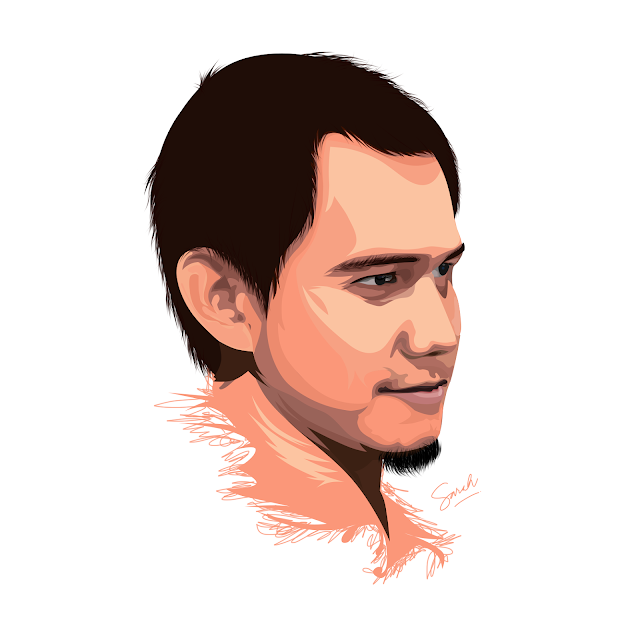 You did great with the Vector Art. It's very detailed and it seems as close to reality. wow you are amazing. i think i'm a fan now. diin man ko makasubscribe sa imo na blog ya?